This great value PM Writing Super Easy-Buy Pack contains one copy of every title in the PM Oral Literacy series. Interactive print and digital resources enable children to think, speak, listen and question with confidence and support teachers’ judgements on language and communication skills. 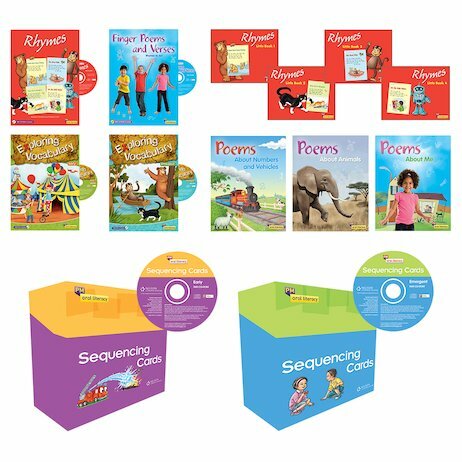 Poems and rhymes to recite and sing along to and resources to explore vocabulary and sentence structure help to bridge the word gap and provide children with solid foundations for reading.